Kia Motors America (KMA) unveiled the brand's most aggressive concept car ever when wraps came off the GT4 Stinger at the North American International Auto Show in Detroit. GT4 Stinger. The concept pushes the boundaries of performance with a rear-drive 2+2 sports car that places man and machine in harmony on the road or track. It comes as no surprise that the GT4 Stinger is the wild style child of Kia's California design team, home to its 2012 predecessor, the Track'ster concept. And like the Track'ster, the GT4 Stinger's racy appeal is more than skin deep. 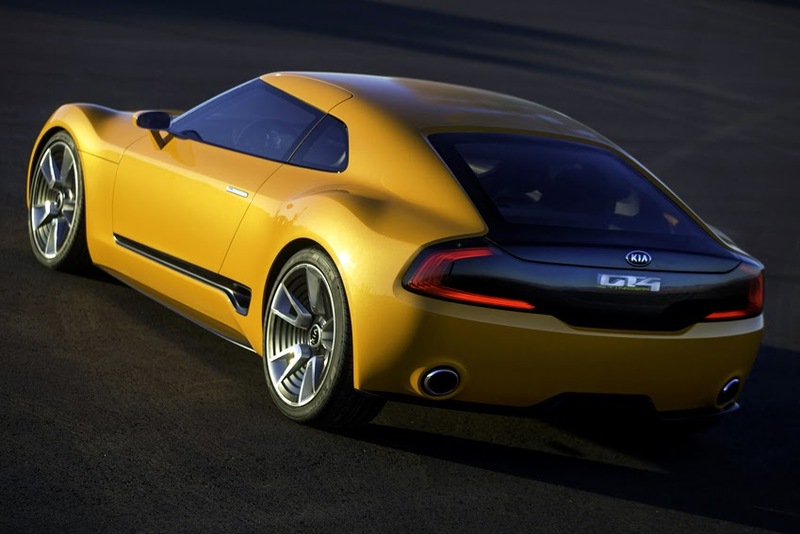 "If anyone were to ask if Kia has the credibility to build a car like the GT4 Stinger," added Kearns. "I would simply point out that Kia races - and wins - against some of the world's most legendary performance brands."